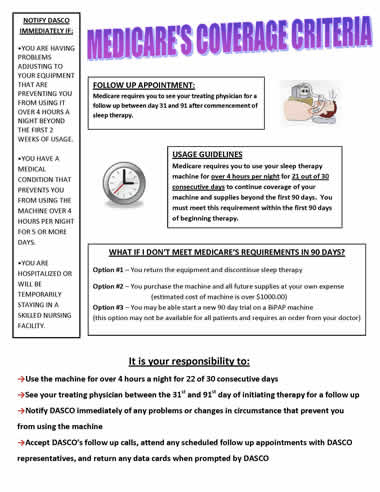 Helpful guidelines to ensure compliance for Medicare PAP patients so that they can receive the optimal benefits from sleep therapy. Find out what you need to do to help make sure you are covered under Medicare’s guidelines. 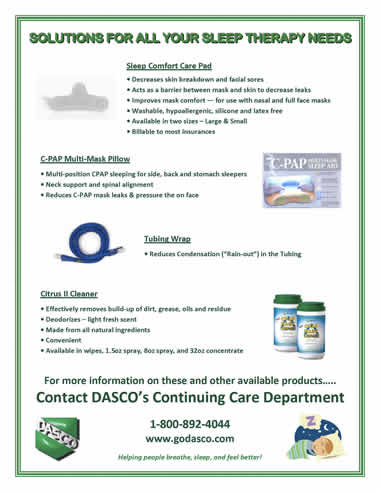 Additional products DASCO offers that help you become more comfortable using your mask and sleep apnea machine. 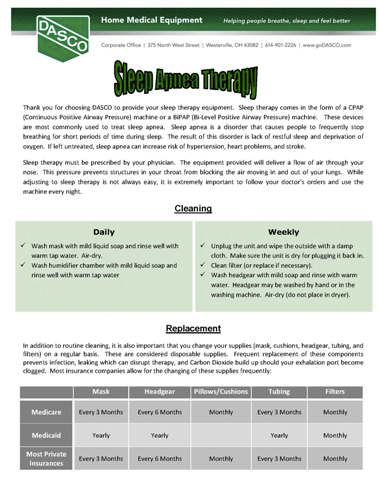 Find out how frequently PAP supplies can be changed to help you breathe, sleep and feel better! By changing your supplies regularly, you can help reduce the risk of infection and mask leaks. Also discover the many ways that we can contact you to reorder your supplies! 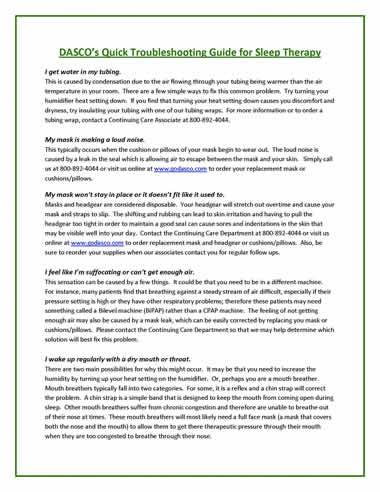 If you are having trouble getting used to using your sleep apnea machine, please check out our solutions to some of our most common questions. If you have additional questions or concerns, please call us at 1-855-442-7912.